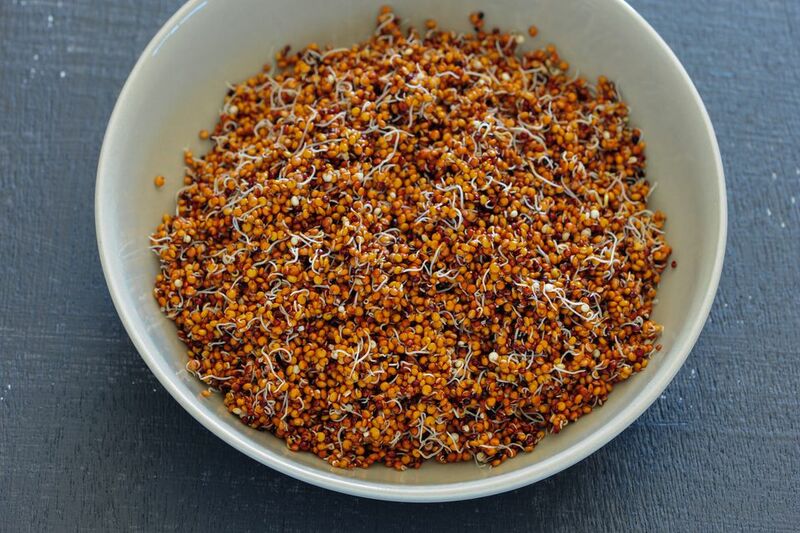 This recipe for a highly nutritious raw food salad requires that you first sprout the quinoa. This will take anywhere from 1 to 2 days depending on your climate. But the process itself is super duper simple and well worth it for the unique and satisfying crunchy goodness the salad provides. Sprouting grains multiplies their nutrient profile and offers you a host of beneficial effects. Serve this salad as a main course or a hearty side dish. I find one of the best ways to serve this salad is over a bed of lettuce (and arugula too!). Mix all of the Vegetable Marinade ingredients together with a whisk or fork and place in a bowl or casserole dish along with the diced vegetables. Allow the veggies to marinate for at least 30 minutes or up to 2 to 3 hours in the refrigerator. Add the sprouted quinoa, and all the remaining ingredients and stir well. Serve immediately or store in an airtight container in the fridge for 1 or 2 days. The sprouts won't last very long so eat it up soon! Raw Italian Focaccia Style "Bread"
Is the Raw Food Diet Right for You?